Zombies. They seem to be everywhere these days. Resident Evil: Afterlife brought their biologically engineered zombies back to the big screen recently. On Halloween 2010, the Walking Dead will invade television on AMC. And there have been many recent books – from The Adventures of Tom Sawyer and the Undead and Pride and Prejudice and Zombies to Patient Zero and Zombie Britannica. So what makes David Moody‘s upcoming book Autumn different? First of all, this is the first zombie book that I can recall that never uses the “z” word explicitly. Moody refers to them as “creatures” or “figures,” and these undead don’t seem to be of the flesh-eating variety. Other than one scene that made me wonder if they might be capable of extreme violence, it’s just the oppressive numbers of restless dead and the fact that they’re everywhere that makes them a persistent threat. Second, though the book starts like many zombie plagues with some sort of worldwide biological or chemical event, Moody doesn’t try to explain how or why it happened. Though 99% of the world’s population suddenly dies, our few survivors are more interested in survival than a cure. Third, the survivors themselves are just ordinary people. Michael is a bit of a loner who has a mysterious past he’s not willing to talk about much. Emma was a medical student and is more keen on finding a safe place than solving the riddle of what caused the event. And Carl was a husband and father who never quite gets over the trauma of losing his wife, daughter, and his old life. Autumn may have the earmarks of your ordinary zombie tale, but it is far from it. Moody’s writing is just descriptive enough of the threats facing our survivors to make the whole story more psychological horror than of the brain-eating variety. It’s extremely well written with the implied silences just as important as the action. It reminded me more of classic Stephen King than George A. Romero – and I have to say I’m looking forward to what’s happening next. If you’re looking for a different kind of horror or zombie fiction, you can’t do much better than this creepy start to a new series by David Moody. Look for Autumn on bookshelves now! p.s. Check out Autumn and other great books below! Author John Austin has pulled together a handbook to help new zombies adjust to their new position in life (or “unlife“). So Now You’re a Zombie: A Handbook for the Newly Undead provides tips on what to avoid (bullets or further head trauma), what to eat and how to hunt for it among other juicy tidbits. If I was a zombie new to undeath, I’d definitely want something like this (if I could still read) as a refresher course in how to proceed and succeed in my unlife. From the straightforward language and references, to zombie literature and movies, to the detailed and hilarious artwork, I enjoyed each and every page. Sure, we all know that zombies hunger for brains (strict adherence to the “Brain Beach Diet”, but did you know that there are ways to communicate with other zombies to aid in hunting in packs? Did you also know that zombies should avoid humans possessed by demons because demons are unpredictable and “frickin’ crazy”? But it’s the humor throughout that had me chuckling as I read the book… There’s a whole section on “Obstacles You Will Face” – such as doorknobs, ladders, stairs, fences, trees, and ropes. And there are some great illustrations to help in defeating these obstacles, such as a picture of a kid climbing one of those ropes most of us hated in gym class with two zombies waiting at the bottom… “Just wait it out — your victim can’t hang on forever…” And when doorknobs are involved, “if physical abuse proves useless, try rotating the knob as indicated . (Result may vary. )” We’re doomed if zombies have detailed doorknob instructions! One of my favorite sections is on “Waiting for Food” with a picture of zombies hiding behind trees that made me laugh out loud. All I could think of was the Monty Python sketch “How Not To Be Seen,” with zombies instead of Python members hiding behind shrubberies… Not all house plants or lawn-decorating plants are made equal evidently. Just make sure after the zombie outbreak that you look suspiciously at any zombie-shaped trees. And the “Combat Quiz” (p. 103) tests your knowledge. After reading the book, you should be able to answer questions such as “Someone just stabbed a knife in my back, I should… a) Seek medical attention immediately! b) Get over it, and continue with what I am doing. c) Fall down to ease the pain. d) Have a fellow Zed remove it.” Considering zombies feel no pain and it’s not a head wound, I think I’d go with answer (b). If you are preparing for the inevitable zombie apocalypse and your eventual change to the wandering dead, I’d encourage you to keep a copy of So Now You’re a Zombie: A Handbook for the Newly Undead by John Austin to stash in one of your open body cavities after death. You never know when it will come in handy! p.s. 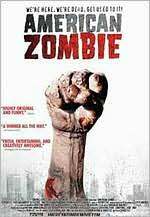 Pick up this and other great zombie books and movies below!